We previously introduced Invasion. Today, we look at the first issue in more detail. The Dominators themselves, who have yellow skin; tall, thin teeth reminiscent of a whale’s; long fingernails, and red circles on their foreheads that indicate their caste. 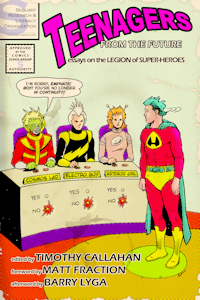 Introduced (in Adventure Comics #361, Oct 1967) as villains of Legion of Super-Heroes, the Dominators are cold and calculating; their society is rigidly hierarchical. The Thanagarians, bald-headed warriors who wear artificial wings and whose society resembles a police state. Centered on the planet Thanagar, the Thanagarians had been a part of the present-day DC Universe since the debut of the Silver Age Hawkman, although they had been depicted as having a noble, utopian society until after Crisis on Infinite Earths. The Durlans, shape-shifters who wear purple robes in their default form, which has two tentacles that protrude from their shaded face. Like the Dominators and the Khunds, the Durlans were previously associated with the Legion of Super-Heroes, which had a Durlan (Chameleon Boy) as a member. The Daxamites, who are genetically related to Kryptonians (like Superman) and is historically tied both to the Superman titles and to the Legion of Super-Heroes. The Daxamites were not generally portrayed as evil, and they join the alliance merely as observers. The Psions, a green-skinned reptilian species of often sadistic scientists, located in the Vegan star system. The Psions were co-created by Marv Wolfman, who used them in his 1980s revitalization of the Teen Titans, but they also appeared in Green Lantern and as villains of the Omega Men (who had their own series from 1983-1986). 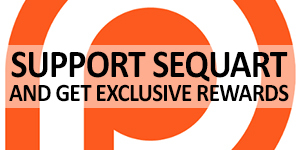 Known for vivisection, the Psions are charged with continuing research on humanity’s metagene. The Warlords of Okaara, a blue-skinned species, from the same Vegan star system. The species serves as the suppliers of the alliance’s weapons. The Citizens of the Citadel, a dark blue-skinned, stout, and muscular species with big tusks that stick up from the sides of their mouths. The Citadelians, also from the Vegan star system, consist entirely of clones and administer Starlag, the alliance’s large outer-space gulag. The Gil’Dishpan, the alliance’s only non-humanoid member. An aquatic species, the Gil’Dishpan float in transparent fluid-filled spheres. The alliance thus represents species tied to Superman, Green Lantern, and the New Teen Titans, as well as the future-based Legion of Super-Heroes. Many of these species had never been shown interacting before. Virtually every other extraterrestrial species and space-based character in the recent DC Universe also appeared. In preparation for the invasion, the Khund attacked and killed several Green Lanterns. At the time, the Green Lantern Corps had mostly lost its powers, but the Dominators knew it would ally itself with Earth and thus ordered preemptive strikes. Adam Strange turned himself over to the Dominion to avoid his adopted planet of Rann from being attacked. The mercenary Spider-Guild is shown ferrying prisoners to the Starlag prison. The Omega Men are attacked by Durlans, who killed some and captured the rest. The green-skinned, hyper-intelligent residents of Colu (usually associated with the Legion of Super-Heroes) are represented by a new character, Vril Dox, who’s shown in Starlag. Garguax, the green-skinned foe of the Doom Patrol, even got a page in which the alliance intimidated him into abandoning his station on the moon. Although he doesn’t appear, there’s even a reference to Darkseid, to whom the Dominators plan to apologize for wiping out humanity after the fact. A major subplot is focused on Starlag, where the Citadelians administer a strict rule, executing prisoners when Adam Strange escapes. Although the emphasis of these scenes is on the prisoners, including Vril Dox, this subplot also illustrates the tensions within the alliance. The Citadelians argue with the Dominators, while both show contempt for the Psions, who perform experiments upon those imprisoned there. With everything in preparation, the alliance assembles a massive fleet and activate a faster-than-light drive that actually doesn’t violate the rules of physics: the ships travel first into “a dimension” (a term routinely used to refer to an alternate universe) in which “distance has only a relative meaning!” The alien vessels all seem to use this technology, which thus amounts to another innovation of the series: unifying DC’s depiction of interstellar travel (not unlike the way warp drive does in Star Trek). The fleet soon appears menacingly near a tiny, vulnerable Earth. In the first issue’s 19-page final chapter, the aliens strike, taking no less dramatic an action than to seize control of an entire continent. Alien ships fill the sky over Melbourne, Australia, decimating the city’s buildings and systemically eliminate the nation’s military forces. Civilians are explicitly targeted by the Dominators, sending skyscrapers toppling. Soon, Khund shock troops herd disheveled human survivors through the streets and towards camps, where men and women are to be separated to ensure that any breeding occurs under the sadistic Psions’ supervision. As part of the series’ international focus, the Austrialian hero the Tasmanian Devil is captured, and the aliens discover a Justice League International embassy, causing some concern over its teleportation technology (which the alliance’s intelligence says Earth isn’t supposed to have developed). Meanwhile, the Daxamites find themselves with Superman-like powers, now that they’re similarly under Earth’s yellow sun. The Spectre, an incredibly powerful magical character, is told by the Lords of Order not to interfere, lest the Lords of Chaos also weigh in (thus keeping him, and symbolically many of DC’s magical characters, on the sidelines of this alien invasion story). America’s super-heroes (including the Justice League and the Suicide Squad) are on hold, under orders from the President himself (implicitly Ronald Reagan, then a lame duck in the final months of his second term), while the world assesses the situation and waits to hear what the aliens want. The Dominators issue an ultimatum: if Earth surrenders its super-heroes, the alliance promises not to withdraw but to avoid further bloodshed. It’s not expressed in these terms, but essentially the alliance proposes only to follow what Earth’s governments have agreed are the rules of war only if Earth surrenders its heroes. 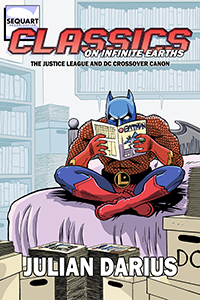 Tagged Classics on Infinite Earths, crossovers, Invasion (the 1988 DC crossover), Keith Giffen, The DC Canon. Bookmark the permalink. Both the Okaarans and the Citizens of the Citadel appeared in the New Teen Titans (see “Tales of the New Teen Titans #4″, with the origin of Starfire). About “Invasion”, wasn’t it just another attempt of unifying and fixing the universe, like many others, that was completely forgotten soon after it was over? Good point about New Teen Titans appearances. As for Invasion begin forgotten, I don’t think it was. It wasn’t often referenced as an “event” that had happened, but that doesn’t mean it didn’t have consequences. I think it particularly marked a shift to a unified depiction of DC’s outer-space characters, which tended to get more consistent and who interacted more after Invasion, which was a major step towards a unified universe. 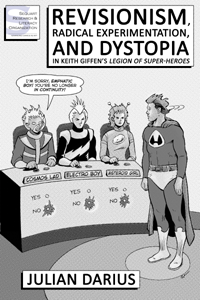 But weren’t they basically Giffen titles? And isn’t this the problem about most events? The writer of the event really thinks on all the things he can do, but pretty much everybody else forget all about it as soon as possible. 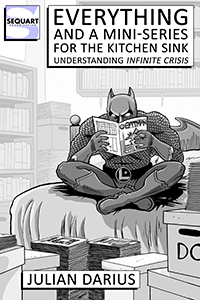 Final Crisis is part of Morrison’s Batman run. Starlin, Bendis, Johns… Events are supposed to affect the whole universe, but in most cases their consequences are limited to their writer’s sandbox. You’re quite right that events are most frequently referenced by their own writers! However, Invasion and the metagene did get reference by several other writers over the years, even if such references were often more superficial than I might have hoped. I also think that the consolidation of DC’s outer-space characters and species was influential in a lot of ways. For example, it’s a clear forerunner to stuff like The Rann-Thanagar War. Also, this same sort of consolidation would later be exercised in other areas of the then-fledgling DCU, in titles such as Starman. I’m not saying that’s all due to Invasion, but it’s influence or Invasion acting as literary precursor. So yeah, I’d say “completely forgotten” is perhaps an overstatement. But “largely ignored” is something that could be applied to too many such events / crossovers — Invasion included. Yes, you’re right, Julian. I was a little unfair.